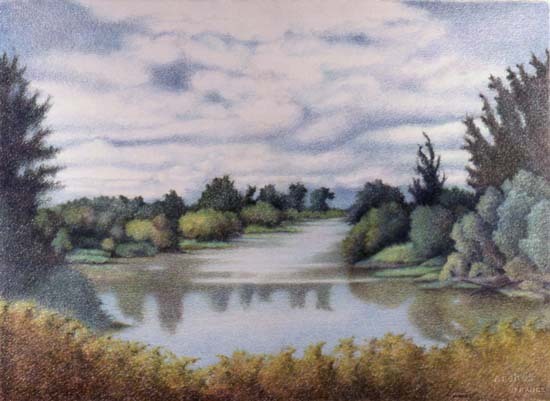 Priscilla Humay is a talented, established artist, who will be sharing some of the inspiration and techniques behind the creation of her colored-pencil landscapes at the June 2, 2011 meeting of the Nature Artists’ Guild of The Morton Arboretum, from 7 to 9 pm. Priscilla’s artwork is included in numerous private and corporate collections, as well as the Bauhaus Archive in Germany, the Chicago Historical Society, and the University of Illinois archives. Priscilla also participates in and receives awards in such high profile shows as the CPSA International Exhibition. Educated at the Art Institute of Chicago, the Illinois Institute of Technology and Charles University, Prague, Priscilla’s art has been featured in numerous publications, including the Best of Colored Pencil III and V.
Some may know Priscilla as a Visiting Artist Instructor at The Morton Arboretum. She is also a Certificate Program Instructor at the Chicago Botanic Garden, as well as the Peninsula Art School in Door County, WI and the Art Center in Highland Park. 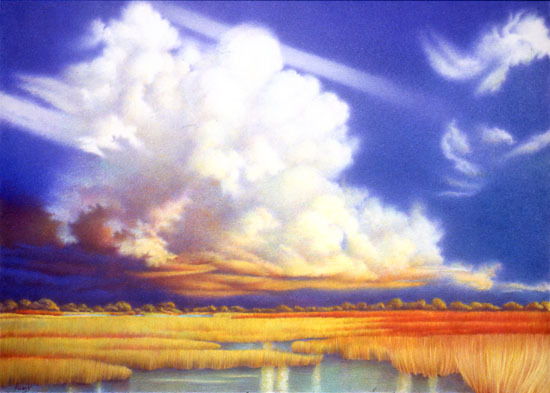 Priscilla serves as creator and instructor of a host of her own workshops, including those entitled “ Introductory Plein Aire Colored Pencil”, “The Aerial Landscape – Clouds”, “Drawing the Color of Summer”, and “Land, Sky and In-between”. Visit Priscilla’s website, www.humayfineart.com to preview her vibrant, rhythmic landscapes and then join us for an enjoyable and informative evening with Priscilla!